← Isn’t it time you Give Forward? I figured I’d share this previous post today since the world is going to end. 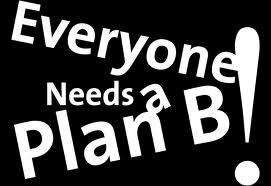 However, I’m trying to figure out my “Plan B” if it doesn’t. Enjoy – and see you on the other side! Sometimes things don’t always turn out according to plan. Sometimes tragedy strikes and our life as we knew it comes to a screeching halt. Question is, how do we respond to it? In 1976, St. Denis fell while skiing in Lake Tahoe, California. The result was a severed spinal cord, a surgery-filled hospital stay and the rest of his life in a wheelchair. “I thought (it) was a horrible tragedy,” said St. Denis, who was an airplane mechanic in the Air Force at the time. “I woke up every morning wishing I was dead … angry at God for taking the ability to walk away from me. … I just stopped wanting anything for my life.” St. Denis rejected most forms of assistance from anyone. But with time — and inspiration from a wheelchair-bound veteran he befriended — he eventually “adjusted” and found a new purpose. St. Denis has become a familiar face throughout Mexico, where an estimated 2 million people have some form of disability, according to a government housing census. He is frequently welcomed into homes and greeted kindly wherever he goes, and he has formed relationships with other organizations that serve people with disabilities. Richard Denis believes his project’s popularity is due, in great part, to a personal connection to the people he serves. “I understand what they’re going through, and they know I understand,” St. Denis said. “We’re conquerors of the limitations in our life.” I love that! Want to get involved? Check out the World Access Project website at www.worldaccessproject.org and see how to help. This entry was posted in encouragement and tagged accidents, cnn heroes, difficult times, encouragement, making lemon out of lemonaid, overcoming, overcoming the odds, regroup, richard st. denis, trials, what's plan B, when things don't go according to plan. Bookmark the permalink. Thanks Lorrie, I saw this on CNN Heroes and thought I would share.